This year the annual music conference and festival expands to 5 days, bringing a taste of SXSW to the Twin Cities with keynote conversations, music workshops, industry panels, networking events, films and performances by Minnesota’s top artists and bands. Open to artists, industry professionals and fans of all ages, genders and backgrounds, this year’s Summit will be themed around building creative communities, providing opportunities for 1,000+ musicians and fans to gather at University of St. Thomas and other Twin Cities venues to discuss timely issues affecting artists and our regional music communities. 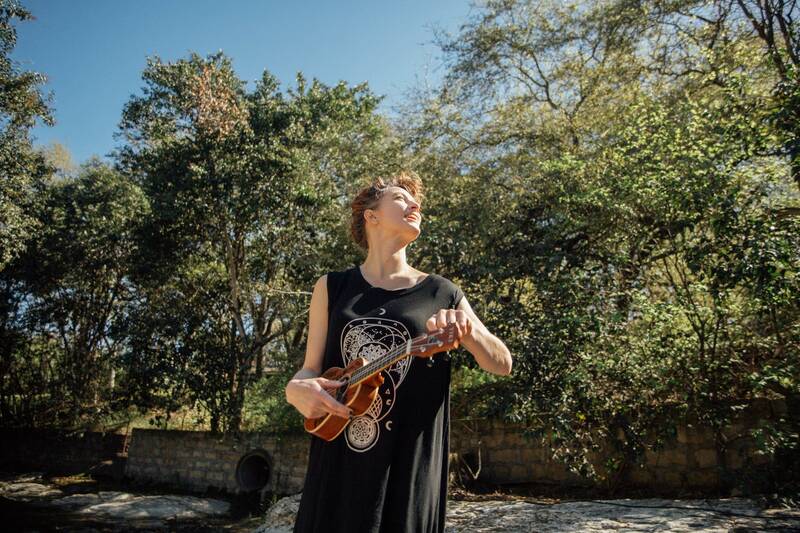 Featuring talks and performances by local and national talent, including Astronautalis, Maria Isa, Jonatha Brooke, PaviElle, Static Panic, Lady Lark and Dresden Dolls frontwoman Amanda Palmer. SATURDAY, APRIL 13 - MN Music Day! Sign up for 15-minute speed mentoring sessions with a variety of booking, media and film professionals. Ask questions from a variety of artist management, legal, licensing, educators and arts professionals from Green Room Music Source, Slam Academy, and more. Must be present to sign up. Must be present to sign up. CreativeMornings MSP chapter hosts a conversation about partnering across disciplines.with creatives that work in music, photography, education, theater, social media, business and more. With Drew Gneiser (Creative Mornings Host, Author), Joe Horton (Emcee, Director, Co-Founder of FIX Music Collective), Steve Cole (Jazz Musician, University of St. Thomas Professor), Rebecca Slater (Photographer). A panel discussion on legal and business issues to address in audio-video production on various media platforms. With Ken Abdo (Fox Rothschild LLP), Paul Bezilla (Fox Rothschild LLP), Christie Healey (American Public Media), Steve Cole (University of St. Thomas-Music Industry Studies). Presented by Fox Rothschild LLP Attorneys at Law and sponsored by Minneapolis St. Paul International Film Festival. Entertainment attorneys and law students from Minnesota Justice Foundation talk about common legal issues and offer free one-on-one legal help. With Tony Mendoza (Mendoza Law), Alex Mueller (A. Mueller Law) and Walter Lehmann (Lehmann PLC). Venue reps and bookers give the inside scoop on how to get good gigs. With Sonia Grover (First Avenue), Diane Miller (Icehouse) and Jen Whittier (Aster Cafe). Internationally renowned artist Jonatha Brooke shares her journey as a songwriter, dancer and actor. Learn from other musician parents how to continue your musical career while still being an active mom or dad. College students from St. Thomas, Mankato State, IPR and more gather to share contacts and connect about regional gigs. Stop by for free drinks and 10% discounts on all vinyl. Touring in support of her new album There Will Be No Intermission, the Dresden Dolls frontwoman plays a unique solo show performed exclusively on grand piano, bringing a mix of rock, pop and cabaret to the O'Shaughnessy stage. Tickets: $27-$47 / Discount with Summit Premium Badge. Buy concert tickets here. Join us for movies, music videos and dynamic performances as we explore the cross-section of film and music. Sponsored by Minneapolis St. Paul International Film Festival. All-day tickets: $25 / FREE with Summit Premium Badge. Check out the first local screening of the documentary following the ups and downs of pop singer and actress Kate Nash, known for her role in the hit TV show Glow. With film director Q&A. Presented by Minneapolis St. Paul International Film Festival. Tickets: $15 / FREE with Summit Premium Badge. Mingle with filmmakers, musicians, videographers, composers and others working in the film and music business. Join us for the grand finale concert featuring performances by R&B/soul singer PaviElle and rising pop stars Static Panic along with a special screening of some of the top local music videos by Dessa, Annie Humphrey, Four Fist and more! Tickets: $15 / FREE with Summit Premium Badge. Admission to all daytime workshops, panels and keynote talks. Does not includes admission to evening concerts or films. Includes swag bag, admission to all Summit events, parties and films and a discount to the 4/13 Amanda Palmer concert.